Radon is a naturally occurring gas that the EPA recommends testing for as a prudent precaution. 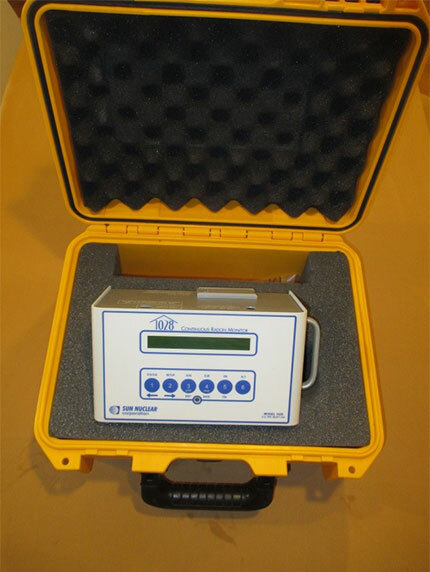 Donaldson Environmental uses an active monitor detection method that allows the detected values to be charted to a graph. 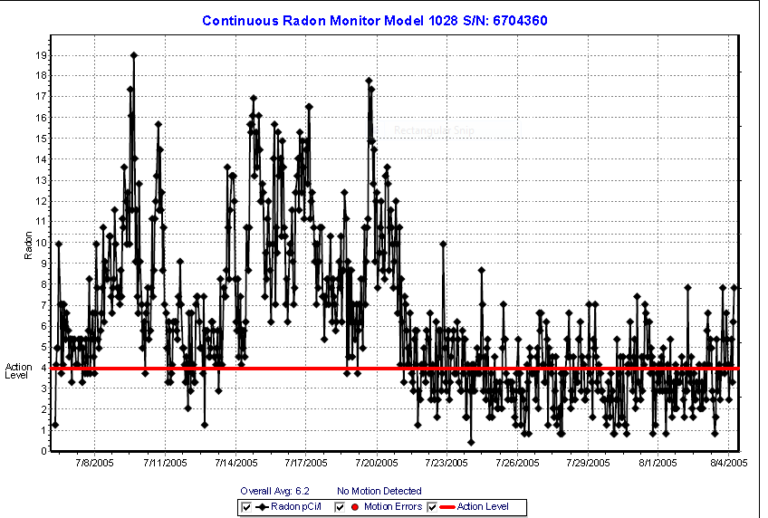 This can be very useful to observe swings in the data or as in the case below to assess the effectiveness of a radon remediation system activated at the halfway point of a thirty day testing cycle. For an air quality inspection or just to learn more about air quality testing and how you can benefit. We'd love to hear from you! Donaldson Environmental is an indoor air quality consulting firm. Our goal is to provide home and business owners the means of achieving healthy indoor environments for their families and employees.